Born into a musical family in Buenos Aires, Argentina, Elias Rosemberg began studies in 1991 at Seminario Rabínico Latinoamericano and obtained the degree of Hazzan and Singing Professor in 1994. In addition to his vocal training, he studied music theory and harmony and completed a five-year program in Pathology, Audiology and Speech Therapy at the University of Buenos Aires. A concert and wedding performer in the Buenos Aires area, Cantor Rosemberg won the vocal contest: “Argentina Sings for Israel,” organized by the Israeli Embassy of Argentina in 1998. He served as cantor in Buenos Aires and, after he moved to the US, was cantor at Temple Emeth in Chestnut Hill. He is currently the cantor of Temple Emanuel in Newton, the largest Conservative synagogue in New England. In addition to his cantorial duties at Temple Emanuel, Cantor Rosemberg performs regularly with the Bostonian Opera and Concert Ensemble and the Zamir Chorale of Boston. He serves as the New England Region Chair for the Cantors Assembly, is the immediate past president of the New England Board of Cantors and has served in the faculty of the Cantor-Educator program at Hebrew College as a cantorial coach. 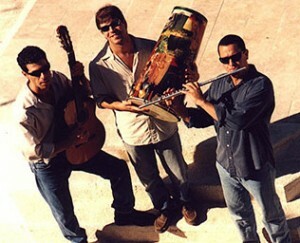 Tucan Trio, founded in Tel Aviv in 1998, brings together three Israeli musicians from different musical backgrounds, who share a common interest and passion for Brazilian music. The trio, consisting of flute, guitar and percussion, present a diverse repertoire of Brazilian music, as well as original compositions, influenced by Mediterranean, Jazz and Latin music. The artistic background of Tucan members, blending Israeli and Brazilian elements with Mediterranean and jazz influences, creates a unique sound, rich in melodic, harmonic and rhythmic textures. Tucan Trio members have performed in numerous festivals and concert venues around the world and have collaborated with world renown artists, such as legendary Brazilian mandolin virtuoso, Armandinho Macedo, Cuban percussionist Yoel Gonzalez, singers Idan Raichel, Matti Caspi, Shlomo Gronich, and many others. — Matti Caspi, Singer and songwriter. Brazilian born percussionist Joca Perpignan has become a leading figure in the Latin-percussion scene in Israel and abroad and has collaborated, recorded and performed with many Israeli and world renown artists such as Matti Caspi, Arik Einstein, Yoni Rechter, Paquito de Rivera, and The Mendez Brothers, to name a few. Joca is a graduate of “Berklee College of Music” in Boston, and is currently a music educator as well as a touring artist and a member of the Idan Raichel Project. His original compositions are featured in his solo albums “Entreventos” and “Manso Balanço” Joca is working these days on a new album featuring him and Grammy Award winning pianist and composer Alon Yavnai. Flutist Amir Milstein studied at the Jerusalem Academy of Music (B.M) and the New England Conservatory (M.M.) where he currently teaches. Amir established his career in the world music scene founding world renown Bustan Abraham ensemble. His flute playing is featured in over fifty albums and his musical collaborations include numerous works with internationally acclaimed musicians such as: Zakir Hussain, Tito Puente, Hariprasad Chaurasia, Matti Caspi, Armandinho Macedo, Omar Farouk Tekbilek, Simon Shaheen, Mikhalis Nikoloudis, and Ross Daly, among others. Amir’s compositions include works for ensembles, dance groups and film scores. As an educator Amir Currently teaches at the New England Conservatory and Northeastern University in Boston, and presents clinics and musical workshops in schools and universities around the world. Guitarist Hagai Rehavia graduated Rimon College of Music and the Rubin Academy in Jerusalem, Israel and continued his studies in Rio de Janeiro, Brazil. Hagai is one of the leading guitarists in Brazilian style and is often invited to perform with renown artists such as Brazilian singers Jane Duboc, Edu Lobo, Mausha, the Israeli Philarmonic Orchestra, as well as Israeli singers Matti Caspi, Ori Harpaz, and Leah Shabbat, among many others. Hagai’s compositions are featured in numerous albums, including his solo album called “Bebe”. He also published several books for guitar. Jeremiah Klarman, a 22-year-old from Boston Massachusetts, is gaining national recognition as a rising young composer of his generation. In June 2010, The Boston Pops performed his Symphony in C on his second appearance on NPR’s radio show, “From The Top.” At age 13, following his first performance on “From The Top”, Klarman received special recognition from Osvaldo Golijov, who stated to the Boston Globe that he was ‘’moved, impressed, and amazed’ by Klarman’s talent and early work.” (Apr 20, 2006) Klarman also won the 2010 First Generation to Generation Award; a program designed for talented high school students who demonstrate promise in creating melodies that show sensitivity to the setting of Jewish liturgical text. Klarman’s works have been performed by The Boston Modern Orchestra Project, The Landmark Symphony, The Longwood Symphony, and New England Conservatory (NEC) Youth Orchestras with conductors Gil Rose, the late Charles Ansbacher, Jonathan McPhee, and Benjamin Zander. 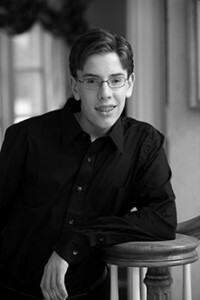 Klarman won the 2007 American Society of Composers, Authors, and Publishers (ASCAP) Foundation/Morton Gould Young Composer Award for his orchestral piece Dance Suite, as well as the ASCAP Honorable Mention in 2009 for his orchestral piece Festive Dance. He also won the Senior Division of the Massachusetts State Composition Competition Music Teachers National Association (MTNA). Klarman began his musical studies on the piano and violin at the ages of 5 and 6 respectively, soon after which he started composing his own music. He commenced piano study with Angel Ramon Rivera at the Rivers School Conservatory at age 7 and composition study with Rodney Lister at NEC’s Preperatory School age 11. Klarman played violin in the Rivers School Conservatory’s Youth Philharmonia from 2002-2005 and NEC prep’s Repertory Orchestra from 2008-2009. He attended Gann Academy — The New Jewish High School of Greater Boston. He played the piano in chamber groups at NEC prep and Greenwood music camp, as well as hand percussion with Gann Academy’s jazz band. In addition to his accomplishments as a classical composer, Klarman has written Jewish-themed choral, pop and liturgical music since 2008. 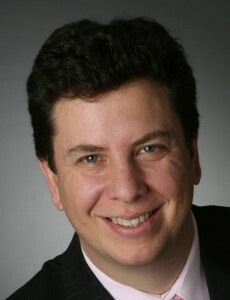 Joshua R. Jacobson, the director of the Zamir Chorale of Boston, commissioned him to write Hallel, Shir V’or in 2009. Upon hearing this performance, the Jewish Ideas Daily raved that Klarman’s music culminated “in a room-rocking, soul-lifting Halleluyah!” (Feb 13, 2010). Cantor Elias Rosemberg commissioned him to write Kol Haamim for the 75th anniversary of Temple Emanuel in Newton, MA. In December 2010, Klarman’s works were featured in Shalshelet’s Jewish Liturgical Music: the Next Generation festival in New York, NY. More information about this festival is at www.shalshelet.org.